is MO going ot be invited to this special event? are we going to be invited ot thsi event? and ps is wendys sponsuring this event? free froeezy for everyone? Edited by Put_Ya_On_Suicide_Watch, Jul 05 2018 - 02:14. Doesn't seem like something you should be posting to the forums? I see MO is already stalking peoples Slacks. Hide yo kids, hide yo wives! The handful of actual main accounts in MO are largely from clans that have had past issues with toxicity. Just a bunch of people who like to start drama. I’ll be here with the good ol’ popcorn as always. I remember when Brap and I got invites from NUFFS (very recently, funny how you are the recruiter???). Thank God we declined them and are now in a better clan. Idk why you bother talking trash on these forums. So irrelevant. 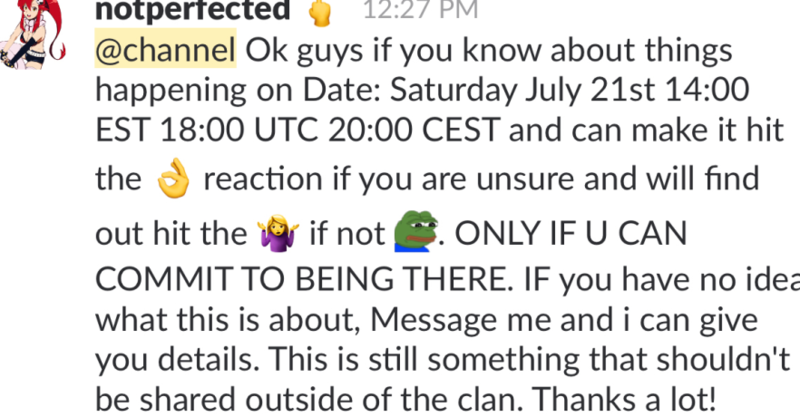 As for the main post, I think it's only appropriate that MO be invited to this event, as well as citadel Slack, seeing as we are now in the hierarchy of the World of Tanks community. You and brap wouldn’t have lasted long in NUFFS. And I would have definitely had a chat with whoever invited you had you accepted. I’m a recruiter because I watch the LFC forum section, and I talk trash on the forums because it entertains me. As for the main post, I don’t think the community would respect MO even if you could consistently beat MAHOU. Quoting yourself unironically is beyond cringe-worthy. You and brap wouldn’t have lasted long in NUFFS. Shhh, if you say his name 3 times, he'll be summoned like betelgeuse.